I love seeing what Anne shares in her Pin to Present posts, so I decided to share my first one in... over a year. Does anyone else's relationship with Pinterest really ebb and flow? Sometimes I love all of the "picked for you" things I see, but other times, like when I searched for workout ideas ONE TIME and saw nothing but fitness quotes and ideas for a week, I just want to throw my iPad out the window. Pinterest is supposed to be about food - haha! In "down" times like that, I find myself finally going through those recipes I've been pinning for over four years. The recipe I made this week finally made it from my "Need to Make It" board to my "Pinned It, Loved It" board after 3 years. 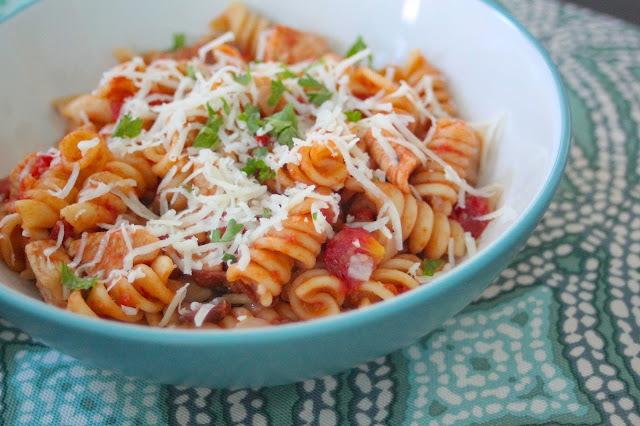 This One Pot BBQ Chicken Pasta is by one of my favorite food bloggers, Damn Delicious. Her recipes are always so easy to make and have so much great flavor. I was surprised at how well the pasta cooked in the sauce in the allotted 13 minutes (I was skeptical), and next time, the only changes we would make would be to double the red pepper flakes and maybe add even a little more chicken. It makes a ton of pasta! Have you had any Pinterest success stories recently? I'd love to hear about any recipes you're currently loving! Ooh this is intriguing! I'll try it with extra red pepper flakes! 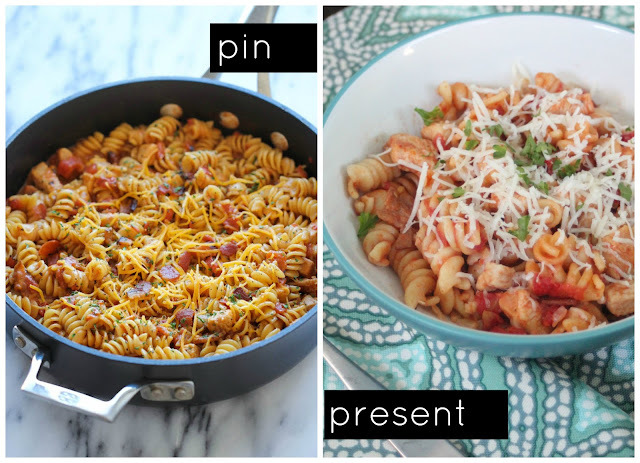 I always love finding great recipes that you can make again and again! 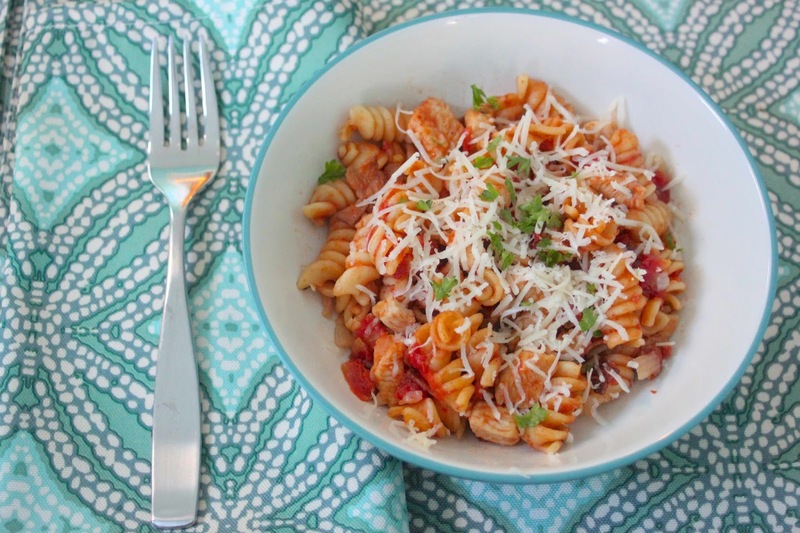 And we always tend to add some extra chicken to ours too because you can always use more protein! This sounds really yummy! I have a pinned it and liked it board on pinterest for the recipes I have liked, I need to start doing this on the blog! Oh my! These are two of my favorite things put together. You cannot go wrong with either of them. Oooooh this looks super yummy! I may have to try this out for the hubs and me! Same with Pinterest. Why do social media outlets keep changing without asking the users if they want those changes?